A year before his retirement, Jean-Claude Gaudin, the right-wing Mayor of Marseille since 1995, is confronted to unprecedented protests and generalized criticisms against his politics: the city might be witnessing the end of an era. In comparison to other French cities, a particularity of Marseille is that lower classes and immigrant populations still occupy the centre of town and have not yet been expelled to the margins by the increase of real estate prices. This is exactly what Gaudin and his associates have always found intolerable and did their best to change. For more than two decades they strived to replace the precarious and often immigrant populations of the centre, with wealthier populations that would supposedly work, consume and pay taxes without any agitation. Their long-term strategy of economic development and urban planning which focused on tourism, culture, luxury and the attraction of international investors, has been perceived by many critical voices to be more consistent with this objective of gentrification, than with the needs of the inhabitants of the centre. This objective is not always explicitly expressed by the town council today, but in 2003 Claude Valette, an associate of Gaudin could declare: “We need people who produce wealth. We must get rid of half of the inhabitants of the city. The heart of the city deserves something different”. Two recent events have fed the protests. On the one hand, the project of renovation of the main square of the city – Place Jean Jaurès, also known as “La Plaine” – located in the centre, is accused of gentrifying the neighbourhood and to be imposed to its inhabitants without serious concertation. 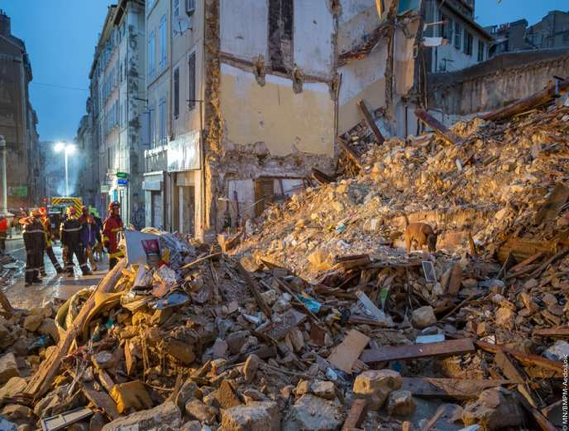 On the other hand, two among the many insalubrious buildings of the city centre, the 63 and 65 rue d’Aubagne, have collapsed on the 5th of November, provoking the death of 8 people. An official report written by Christian Nicol in 2015 estimated that Marseille counts 42 400 insalubrious apartments out of a total of 377 000 apartments. This means that 13% of the city’s apartments are insalubrious and that there is a potential risk for the safety and health of about 100 000 people. In many areas of the centre, this rate exceeds 35%. Most insalubrious buildings are private and owned by slumlords who refuse to make the necessary renovations. Amina Baggour, 31-year-old, who has recently been evacuated of her flat in Rodolphe-Pollak street after that the stairs collapsed, tells her story: “There were cracks, the stairs were holding with iron bars, it was raining in our apartment, but the landlord did not answer. We even had a rat invasion, and he told me ‘They don’t kill’”. Many other buildings – including one among the two that collapsed on the 5th of November – belong to the city, which simply did not invest in their renovation. The city also has tools to act for the safety of inhabitants of privately-owned buildings. It can put pressure on landlords by diverse means, have the right of undertaking the works by itself, and can sign peril decrees (arrêtés de péril) to evacuate buildings when necessary. In 2014, two million euros were unlocked by the city council to identify which buildings it should urgently renovate. Four years later, only 15% of this money has actually been used. Despite the well-known seriousness of insalubrious buildings in Marseille, peril decrees are extremely rare. Since the 5th of November though, the city hall multiplies these decrees as it is under the fire of criticisms coming from all sides. In the last 3 months it has signed 147 peril decrees, the same amount of decrees it had signed in the previous four years. Christian Nicol argues that the scarcity of peril decrees is related to the problems of rehousing. The city should find a new accommodation to those that it evacuates, and this requires the mobilisation of social housing. However, as some city officers confessed to him, this cannot be done as local representatives monopolise the attribution of social housing for cronyism. Noureddine Abouakil, co-founder of Un centre-ville pour tous, an association which has been struggling against gentrification policies since 2000, claims that peril decrees and other legal tools to tackle the issue of insalubrity are only used for political purposes: “When there is a renovation project that may change the populations as it was the case for the buildings of Belsunce, peril decrees rain from everywhere. But if you live in a district that does not interest the city, like the Barbini street in the 3rd district, where there are many slumlords, you may die. There won’t be any decree”. In 2007 he even saw a landlord making a written demand to the Mayor’s cabinet asking for a peril decree on his building. The peril decree enabled him to expel the tenants, in order to demolish the building and construct an office block. According to Abouakil, the city council always find ways to expel tenants when it wants to do so. Their problem is that, once this is done, they have difficulty to attract wealthier people, as there is a lack of demand which keeps prices down. Consequently, when they put back such apartments on the market, they see precarious and immigrant populations come back. This also explains why many buildings owned by the city are left vacant and without renovation. Since the city does not find richer people interested in their acquisition, it prefers not to invest, it refuses to create an offer destined to underprivileged populations. In this process, the city often wastes great sums of money. For instance, the city bought the 29 rue du Baignoir and expelled their tenants in 2007, then it left the whole building empty until 2018. After abandoning these 1500m² for 11 years, without getting any rent out of it, it sold it to a private owner for a price of 88 000 euros, while some experts estimated its real price to be about 260 000. Abouakil multiplies the examples of buildings that have been left vacant for 15 to 20 years and sold under their prices, often without publicity nor competition. He considers the actions of the city authorities to be criminal, as they wasted money and have let people die. 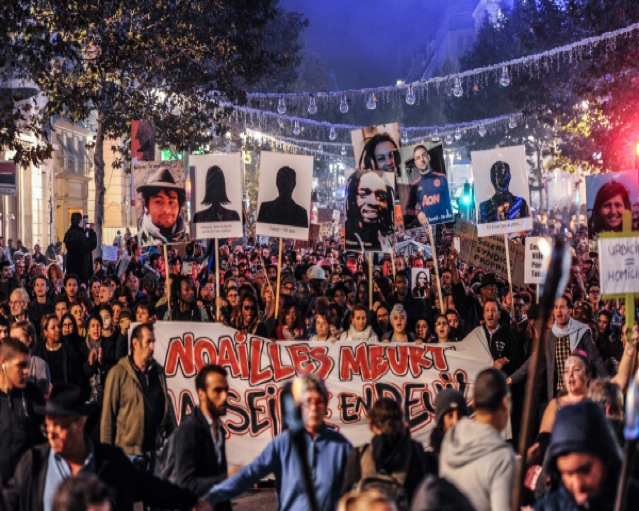 His diagnosis seems to be shared by many, as the demonstrations against insalubrious housing and for the right to the city, have assembled a few thousands of people at repeated occurrences in the last months, who often shouted: “Gaudin Assassin!”. The collapse of the two buildings on the 5th of November occurred in a context of increased tensions between the city authorities and diverse collectives of inhabitants. These tensions aroused from the project of renovation of the largest square of Marseille, commonly called La Plaine, which is located about 500 meters away from the fallen buildings. This square and the neighbouring streets are well-known for sheltering a great amount of self-organized social and cultural activities favouring the mixture of populations, an enhanced local solidarity, and alternative dynamics that have always been regarded as suspicious by the city authorities. It is a famous area of Marseille’s nightlife hosting many musical bars in which some of the city’s main artists made their debuts (e.g. Keny Arkana, Massilia Sound System). Popular festivals, carnivals and open-air theatre performances are common, while international brands are rare. There is also a traditional and very cheap market taking place three times a week, which usually leaves a lot of trash on the square, but significantly contributes to the livelihood of the area. All these elements constitute a rather fragile ecosystem to which many – probably most – inhabitants are deeply attached. The communication over the project of renovation has been quite disastrous, and even the supporters of the project usually admit its default. Opacity dominated the process. The locals first heard about a renovation project through rumours in spring 2015, then some of the plans leaked to the public during the summer. According to these plans, the traditional market should get replaced by new commercial activities with top-of-the-range products. The whole square should be restructured, and commercial terraces should be installed in places where free activities used to take place. An elected representative of the municipality, Yves Moraine, even declared about the project: “No one can take care of public space as well as the private sector”. The budget of the project is of a little more than 13 million euros. After the leaks, the municipality hired Parisian consultants to organize public discussions about the project. The consultants and the city representatives were surprised by the depth of the opposition of the public to the project, which was not calmed down by the ambiguous language of the professionals of communication. After the discussions, Jean-Claude Gaudin declared at the city council of the 8th October of 2015: “If someone has some remarks to make, and …I will take into account… as I said, the ones of those who are elected, but again, the lessons coming from those who aren’t elected… these people should first get elected at the universal suffrage then we might talk again”. In early October 2018, the works were launched in a tense context. On the 16th, more than fifty trees were chopped down under the surveillance of 150 anti-riot policemen. Four days later, 3000 people demonstrated to demand the cessation of the works. On the next Monday, they started again with the help of the anti-riot police. As the wooden fence protecting the construction site was destroyed by inhabitants, the city invested in a 2.5-meter-tall wall of concrete, extending along the 2.5 acres of the site. Not only the wall symbolizes the city council’s lack of openness to dialogue, but it also costed 390 000 euros. The opponents of the project do believe some renovations would be beneficial to the area. They demand for instance, bins, toilets, and better lighting on the square. They simply refuse the imposition of a vast and undiscussed project, which threatens the local dynamics and current uses of the square. An inhabitant of the area sums up their views: “La Plaine, it’s a neighbourhood which hosts, people who come to party as well as poor people who come to the popular market. The city’s project, it’s to transform it into a residential district with a high-revenue population”. Some inhabitants are also exceeded by the conflict and feel trapped between both sides. They united into a collective – les Riverains de la Plaine – demanding for the works to be continued and ask both sides to calm down. Their online petition received about 640 signatures so far. The struggle will probably remain a significant stake in local politics, as the representatives of LREM (the party of Emmanuel Macron) support the project, while the France Insoumise (the party of Jean-Luc Mélenchon) and the Socialist Party contest it. The protests against the renovation has also been stimulated and, to some extent, merged with the ones against insalubrious housing and the national scale ‘Gilets Jaunes’ movement. Hendrik Davi, from the France Insoumise, explained this convergence: “They are managing Marseille as Macron is managing the country. In an authoritarian style, without dialogue. We want more local democracy and social justice”. Baby-Collin & Bouillon, « Le centre-ville de Marseille 1990-2012 : embourgeoisement généralisé ou accentuation des inégalités ? », Langage & Société, 162/4. Escobar D. M., « Le processus de gentrification rend-il compte des dynamiques de peuplement des quartiers centraux de Marseille ? », Langage & Société, 162/4. France Inter, « Logements dégradés à Marseille : ces millions que la ville n’a pas utilisés », 01/02/2019. La Provence, « La Plaine se teinte de jaune », 13/01/2019. Le Figaro, « La maison Gaudin dans la tourmente », 10/01/2019. L’Humanité, « Marseille, chronique d’un désastre annoncé ? », 29/11/2018. Le Monde, « Un mur sépare les habitants de la Plaine et les élus marseillais », 03/11/2018. Le Monde, « Dans le centre-ville de Marseille, 13 % de l’habitat est indigne », 06/11/2018. 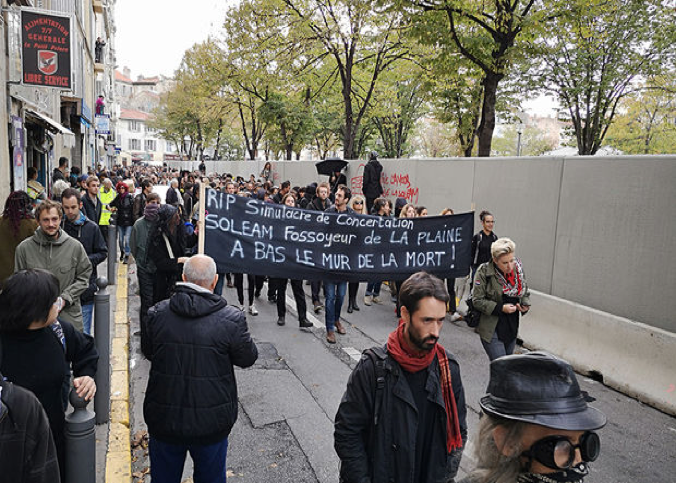 Le Monde, « Immeubles effondrés à Marseille : « Laisser pourrir le quartier Noailles procède d’une stratégie politique » », 22/11/2018. Le Monde Diplomatique, Janvier 2007, « Comment épurer Marseille, l’« incurable » ». Lundi.am, « Le vol noir des corbeaux sur la Plaine… », 16/10/2018. Mediapart, « A Marseille, la rage des habitants, l’autosatisfecit du maire », 12/11/2018. Mediapart, « A Marseille, «la lutte contre l’habitat indigne ne sert qu’à évincer les plus pauvres», 01/12/2019. Mediapart, « Des milliers de Marseillais mobilisés contre le mal-logement », 03/02/2019. Mars Actu, « Logement indigne à Marseille : un rapport au vitriol », 04/11/2015. Mars Actu, « Christian Nicol : “En matière d’habitat indigne, l’État et la Ville ne font pas leur boulot” », 07/11/2018. Reporterre, « À Marseille, la bataille de la Plaine repose la question urbaine : pour les riches ou pour tout le monde ? », 27/10/2018. Nicolas Burlaud, « La fête est finie », documentaire. Le Figaro, 18/11/2003. Quoted in : Le Monde Diplomatique, Janvier 2007, « Comment épurer Marseille, l’« incurable » ». Mediapart, 12/11/2018, « A Marseille, la rage des habitants, l’autosatisfecit du maire ». France Inter, 01/02/2019, « Logements dégradés à Marseille : ces millions que la ville n’a pas utilisés ». Mediapart, 01/12/2019, « A Marseille, «la lutte contre l’habitat indigne ne sert qu’à évincer les plus pauvres ». Milan has been ranked 1st Italian smart city for the fifth consecutive year by the ICity Rate 2018 report, and 2nd on Ernst & Young’s Italian smart city index 2016, following closely behind Bologna. But what does it mean exactly for a city to be “smart”? Although many attempts have been made at defining the main attributes of a smart city, there is currently no consensual academic definition. Bianca Wylie considers that behind the smokescreen of the marketing language, it is simply a term “usually used to describe the use of technology and data in cities”. As such, the smart city is often criticized as a concept which only focuses on technology to depoliticize urban phenomena, ignore issues of social justice, and favour new incursions of large tech firms in the shaping of urban infrastructures. Other authors try to define the smart city in broader terms that go beyond the sole focus on technology. Gillinger et al. (2007) for instance, ranked 70 European cities on six dimensions: smart economy (competitiveness), smart people (human and social capital), smart governance (participation), smart mobility (transport and ICTs), smart environment (natural resources), and smart living (quality of life). ICity Rate’s ranking is based on the analysis of 15 dimensions, including social (social inclusion), political (civic participation), economic (economic solidity), technological (digital transformation), and environmental ones (green infrastructures). Milan mostly owes its first position to its results in terms of economic solidity, research and innovation, employment, and cultural attractivity, while it scores far lower on environmental dimensions (e.g. land and territory, air and water). The fact that Milan only reaches the second place on the Italian Smart Index 2016, is probably due to the much greater focus this ranking put on technological dimensions. 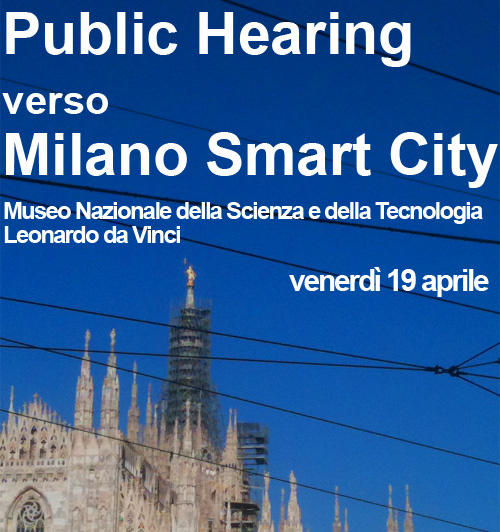 In this short piece, we propose to discuss what makes the originality of Milan’s approach to the smart city. To this question, we will answer that its originality essentially resides in its model of participatory governance and social innovation. The development of Milan’s smart city approach can be traced back to the election of Mayor Giuliano Pisapia in 2011, at the head of a left-wing coalition. That year, Milan’s city council voted a Local Government Plan focusing on issues of greening, infrastructures, and public services.  The plan both required citizen’s participation from the early stages of the process and promoted the contribution of private actors (non-profit and for-profit) to public interest objectives. The Plan did not specifically focus on the development of ICTs. However, many of its programs were later reframed and integrated to a wider smart city strategy, that implied increased investments in ICT infrastructures. In 2012, the municipality chose to adopt a strategy based on coordination rather than implementation, in the construction of its smart city agenda. The responsibility for the coordination was given to two members of the municipal administration: the Councillor for Employment Policies, Economic Development, University and Research, and the head of the department in charge of Economic Innovation, Smart City, and University. The coordination developed was simultaneously internal – assuring the coherence of the multiple smart-related projects within the municipality – and external – assuring the coherence of the interactions between the different stakeholders and the citizens. The smart city strategy was co-produced with the citizens and selected categories of stakeholders (firms, universities, financial institutions, the third sector, other public administrations). In the consultation process, six working groups were created corresponding to six smart city pillars (smart economy, smart living, smart environment, smart mobility, smart people, smart governance), and one large public and participatory event was organized for each pillar. The Chamber of Commerce of Milan was also actively involved in the organization of the process. This model of participatory governance based on coordination, facilitation of co-creation and shared decision processes, shows the specificity of Milan’s approach to the smart city, as opposed to, Barcelona’s smart city model for instance, in which the public hardly participates to anything (Gasco et al. 2016). 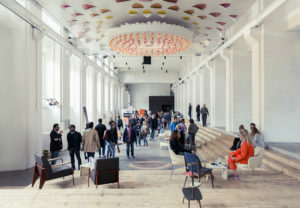 Apart from the overall construction process of the smart city strategy, other specific projects illustrate the participatory model of Milan’s smart city approach. For example, Milan has decided to manage 9 million euros of its budget through a participatory approach. Within the four months following the launching of the project in July 2015, 60 meetings were organized throughout the city to collect suggestions and proposals from citizens. These suggestions were then processed by nine working groups, that received the support of the municipality’s technical staff and have been attended to by more than 200 citizens. 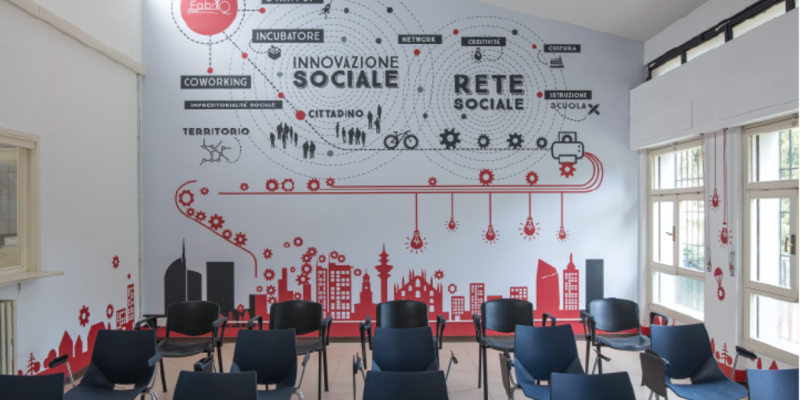 Since the election of Mayor Pisapia in 2011 and continuing with the election of Mayor Sala in 2016, Milan has chosen to put social innovation at the centre of its smart city framework. This means that the framework is not only about the promotion of ICTs in the making of the city, but is essentially concerned with addressing relevant social problems and promoting a sustainable and inclusive model of development. Armondi and Bruzzese (2017) claim that “social innovation, as a principle, can be assumed to be the antithesis of the conventional smart city rhetoric”, and even that “the “Milan model” of smart city policy has the potential to contest the existing neoliberal smart city framings criticized in literature”. 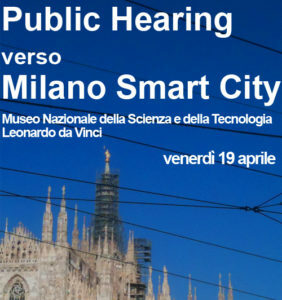 While we should probably remain sceptical at such enthusiastic statements – especially considering the large influence the private for-profit sector had in shaping and implementing Milan’s smart city strategy – we must acknowledge that the municipality’s insistence on social innovation, far from being mere rhetoric, is rather substantial. The promotion of innovation to foster the development of the regional economic ecosystem, through policy making and financial resources invested by the municipality in innovative start-ups, fab labs, incubators and the collaborative economy. The promotion of social inclusion, through the creation of employment – especially in the collaborative economy – and through initiatives in critical neighbourhoods. An essential leverage to achieve these objectives has been the renovation and reuse of vacant public real estate, related to the Municipality resolution n. 1978/2012. Numerous buildings owned by the municipality contain abandoned spaces which have lost their original functions (they used to be shops, workshops, warehouse, offices, recreational spaces…). The city owns 869 of these diverse units, the average surface of which is of 60 square meters. The city also counts about five million square meters of former industrial areas, that have been progressively abandoned with the decline of the industry since the 1980’s. These sites usually do not belong to the municipality but are left unused in a context of stagnation of the real estate market. The municipality’s smart city agenda has thus been focusing on these spatial opportunities, by renovating vacant public properties and supporting private actors willing to renovate abandoned industrial sites. The municipality has invested 1.5 million euros in the restoration of public buildings, which resulted in the regeneration of approximately 300 spaces. Base (2016): an innovative mixed-use space promoting new relationships between culture and economy, future and everyday life, and between democracy, wellbeing, and the knowledge economy. It used to be an abandoned industrial building owned by the municipality. Mhuma (2017): aspires to be a central fab lab for Milan and the whole country, as well as a service and learning centre for the international makers community. It used to be an abandoned industrial building owned by the municipality. 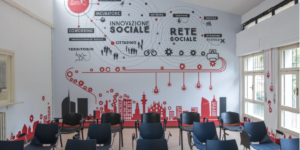 FabriQ (2014): an incubator for social economy and innovation, opened in Quarto Oggiaro, a deprived public housing neighbourhood cumulating multiple social problems (social segregation, unemployment, poverty…). FabriQ supports non-profit enterprises, as well as for-profit enterprises with a clear social orientation. Speed Mi Up (2013): Incubator for innovative start-ups. Nine accredited fab labs were developed on vacant public properties. 58 accredited co-working spaces with a total of 364 co-workers. Gascó, M., Trivellato, B., & Cavenago, D. (2016). How do southern European cities foster innovation? Lessons from the experience of the smart city approaches of Barcelona and Milan. In Smarter as the New Urban Agenda (pp. 191-206). Springer, Cham. Wylie B., “Searching for the Smart City’s Democratic Future”, August 13, 2018. Searching for the Smart City’s Democratic Future, Bianca Wylie, August 13, 2018. Giffinger, R., Fertner, C., Kramar, H., Kalasek, R., Pichler-Milanovic, N., & Meijers, E. (2007). Smart cities: Ranking of European medium-sized cities. Vienna: Center of Regional Science. Quoted in Gascó, M., Trivellato, B., & Cavenago, D. (2016). How do southern European cities foster innovation? Lessons from the experience of the smart city approaches of Barcelona and Milan. In Smarter as the New Urban Agenda (pp. 191-206). Springer, Cham.